This chapter sheds light on the future of crypto-currencies in the world as they have become a major part of trading and are now being adopted by leading investment firms as a new way of buying and selling. Despite the substantial security risk in crypto-currency trading, it has become the most traded commodity. Many new crypto-currencies are being introduced that attract investors. Banking institutions in USA and other leading countries have started to take part in investments in crypto-currency as it has revolutionized financial technology. Ceaseless development in innovation has prompted earth shattering headways in different fields be it restorative, building, farming and so forth. As of late digital forms of money have surprised the world and have upset the region of fund and saving money. Money related innovation which is otherwise called financial technology is getting advancer step by step with new advances and thoughts. Cryptographic forms of money have turned into a piece of consistently changing budgetary innovation and have changed the entire scene of fund and managing an account. These days computerized innovation is being utilized significantly because of which real organizations and driving keeping money establishments are anxious to partake in it that is the reason digital forms of money are thought to be an extremely lucrative method of purchasing and offering. Digital money is as yet a generally new innovation that is the reason individuals are very little mindful of it and there is a significant need of mindfulness for it. Nations, for example, Russia and China have appreciated embracing cryptographic forms of money as new method of purchasing and offering. Digital forms of money have since ruling the features with the ascent of Crypto-cash. Digital currency was fuelled by the square chain innovation which depends on Machine learning and in addition other complex advances. Square chain innovation joins very unpredictable calculations which take a shot at shared system (Velankar, Valecha & Maji, 2018). The likelihood of cutting edge financial benchmarks has existed for a significant long time. By then, not as much as 10 years back, Crypto-cash exploded into the universe of computerized cash. By and by, Crypto-money has ended up being not only a social ponder, in any case, a political and budgetary one likewise, holding the fiscal eye of the world prisoner through its wild course. It has by and by been comprehensively discussed and used as a piece of various made countries. With the coming of IoT which is truncation of web of things numerous new digital forms of money have additionally approached in which Ethereum (Vujicic, Jagodic & S. Randic, 2018) merits specifying and specialists have hailed it as a standout amongst the most progressive cryptographic forms of money out there in the market. Budgetary innovation is quickly changing and now money related foundations are particularly keen on digital forms of money and square chain innovation as eventual fate of exchanging and speculations. Figure 1 illustrates that in spite of the fact that Bitcoin was the primary cryptographic money which was presented and Ethereum is moderately new however has picked up significantly more consideration since it has more perplexing and more solid square chain calculations which makes it more steady and secure. That is the reason financial specialists are supporting it and specialists have thought to be potential pioneer in digital forms of money in future (Ahram, Sargolzaei, Sargolzaei, Daniels and Amaba, 2017). Generally, the business scene in dealing with a record has changed profoundly. After the money related emergency of 2007-2008 the monetary market authorities have braced control of the dealing with a record division, displaying new or fortifying existing standards. In addition, types of progress and change of development and monetary headways (Financial technology) have stretched out the need to search for more creative approaches moreover in sparing cash. Financial technology has changed into a fundamental piece of keeping cash. According to Accenture Report and UK Business Insider, overall financial technology wander has taken off starting late accomplishing ca. 15 billion USD in 2015 (standing out from 4.05 billion USD in 2013). 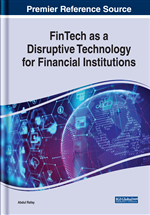 The development and joining of financial technology will reshape finance, in addition, experts starting at now call it the financial technology bother. It is strengthened by vivacious distinction in hardware (checking PDAs), programming (virtual “cloud,” personalization of relationship on the web) and making centring of information progresses (ITs).